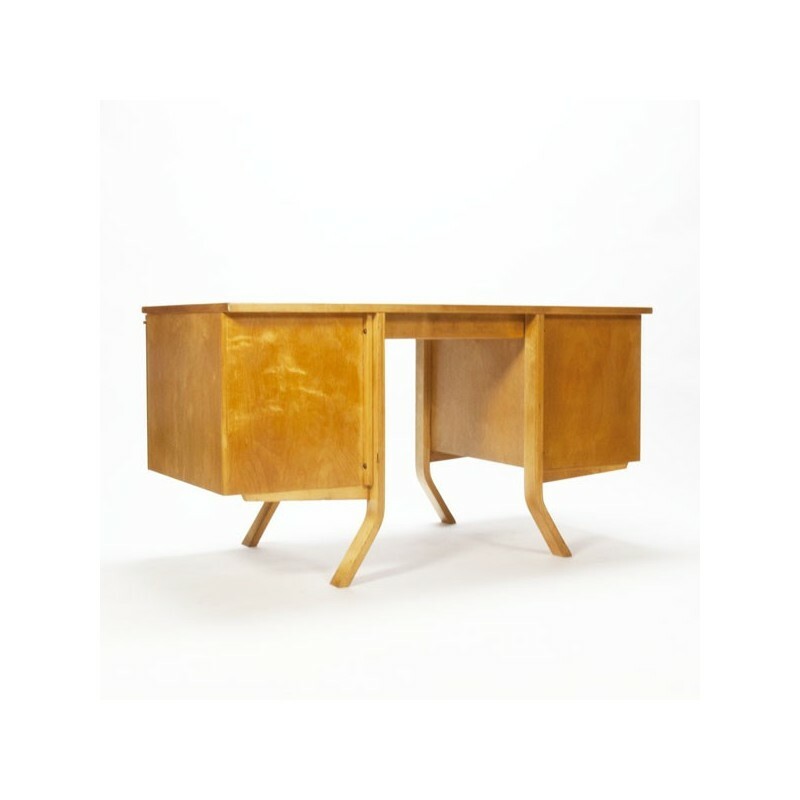 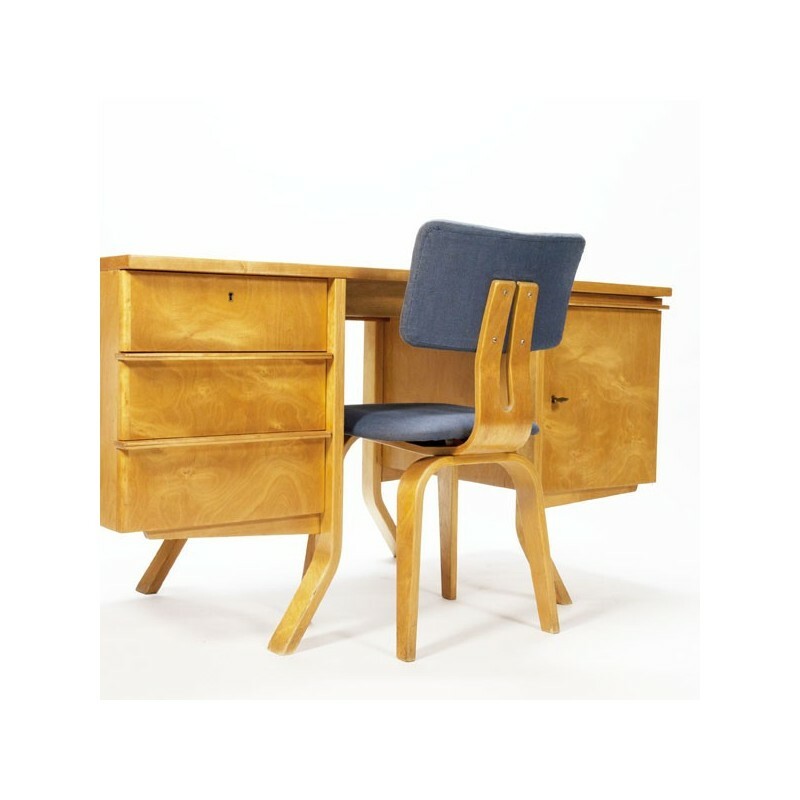 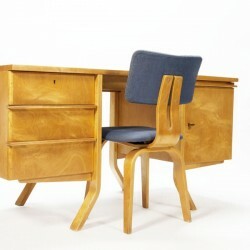 Vintage desk of the Dutch brand UMS Pastoe designed by Cees Braakman in the mid 1950's. 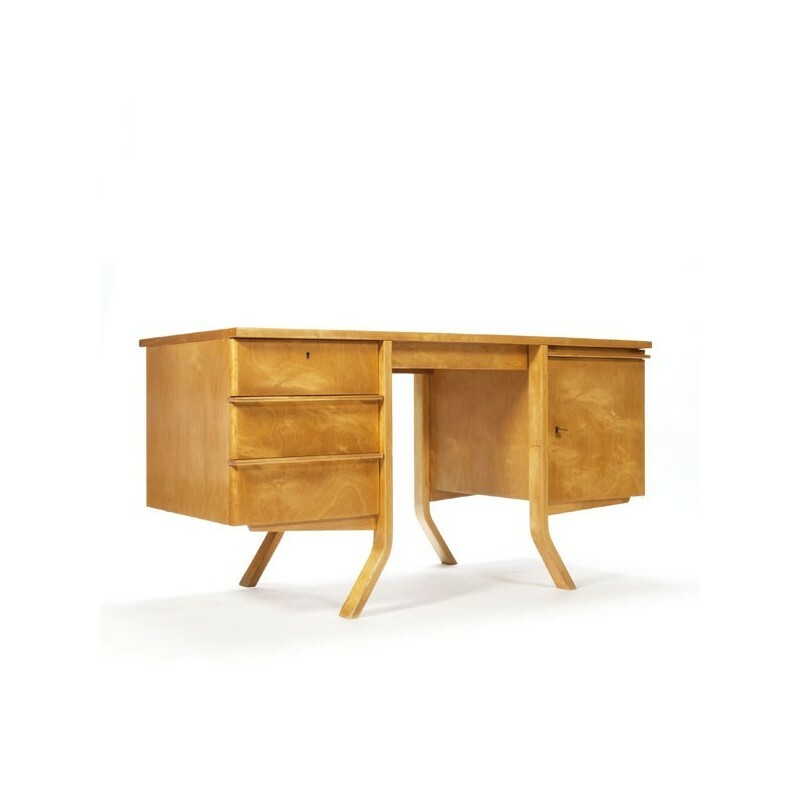 The luxery desk is part of the birchs-serie. 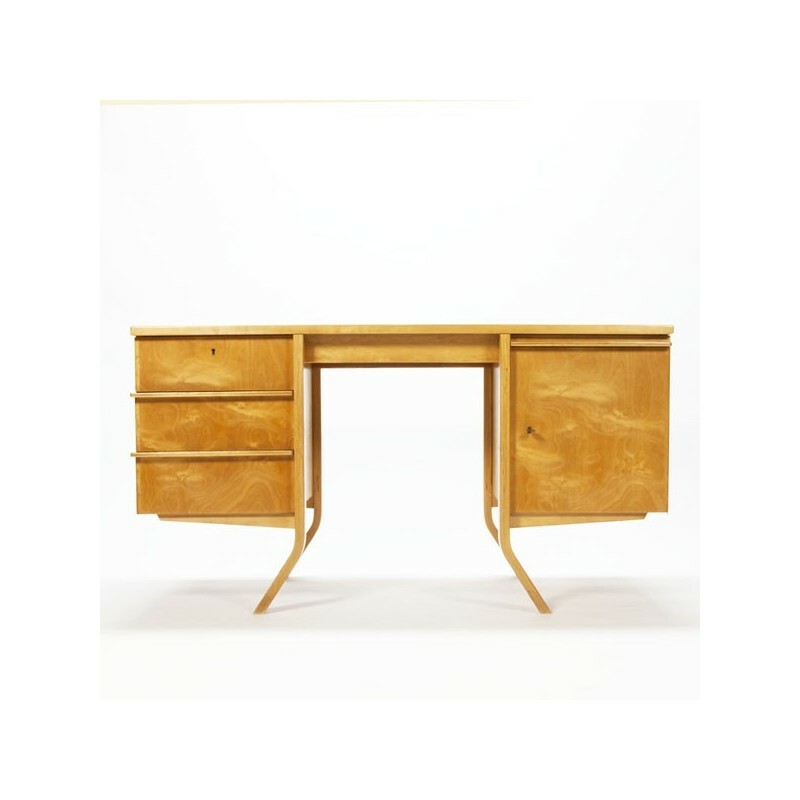 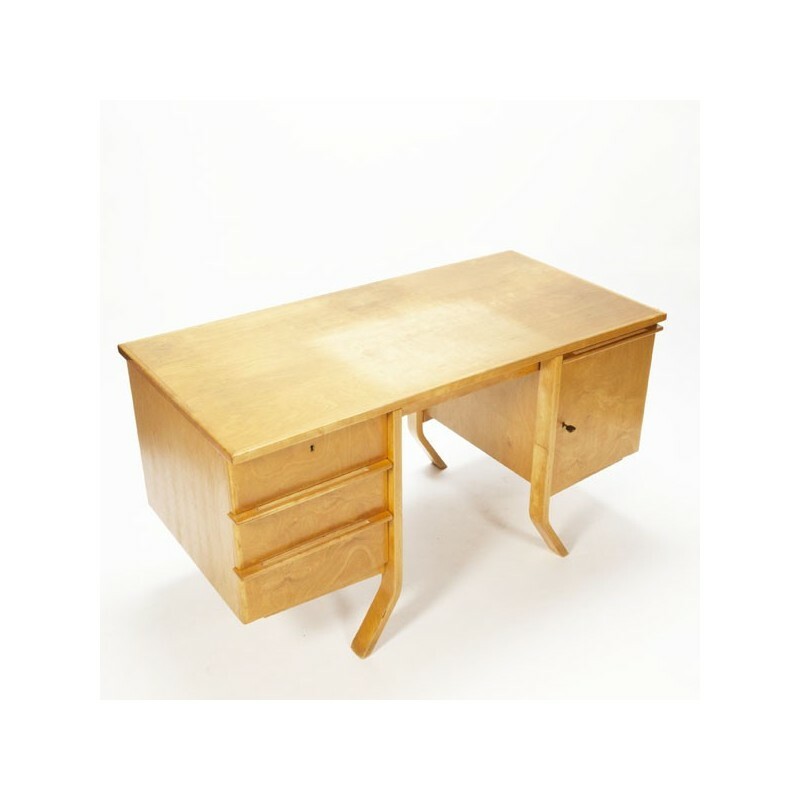 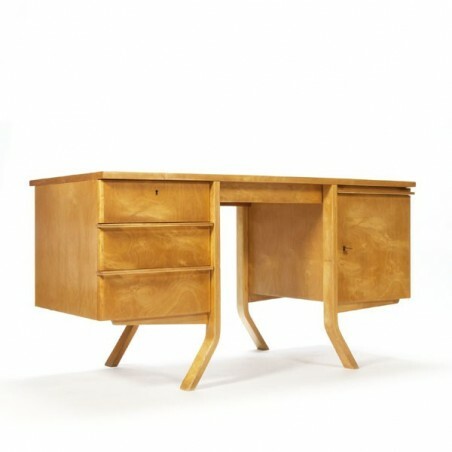 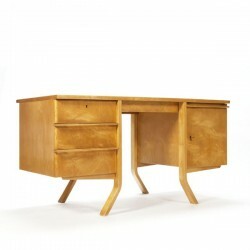 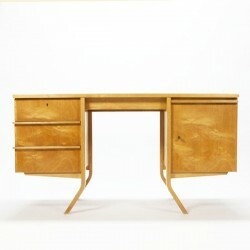 Especially the beautiful curved plywood base and the openwork handles give this desk beautiful appearance. 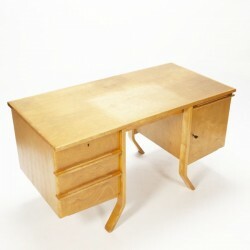 The desk is in a good condtion, small traces of use ( discoloration of the top). 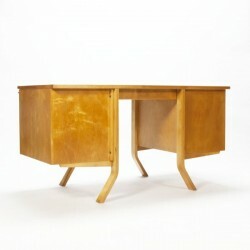 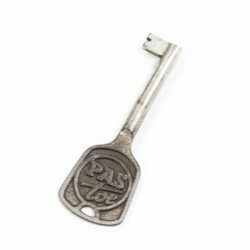 The dimensions are 140 cm L/ 70 cm W/ 75 cm H.